Known in hip-hop circles for being a voice of resistance, Akala’s new album and tour of the same name, The Thieves Banquet, represents something of an artistic departure. Taking characters who facilitate imperialism, Akala exposes the hypocrisy of elites through a morbid and gruesome ballad. While he generally concentrates on the grand issues of structural power and world history, we sat down with him to get his take on the talking points which are linked to them: Lily Allen’s take on womens’ liberation, schools banning ‘urban’ slang, the inquest into the death of Mark Duggan by Metropolitan Police officers, and the spread of the slavery reparations movement, which has now reached the Caribbean. As always, Akala’s responses ranged across a variety of geographies, histories, philosophical and cultural terrains, displaying his trademark insights and unrivalled intellectual cogency. For those who missed it, please make sure you check out the first part of our interview. How is he being racist? He makes incredibly well researched, factually-backed statements for every argument he gives and he specifically highlights that the root problem is elitism, regardless of whether that’s black or white elitism. How is this racist? Are you people stupid? Akala is an over-priviledged & over-educated fool. 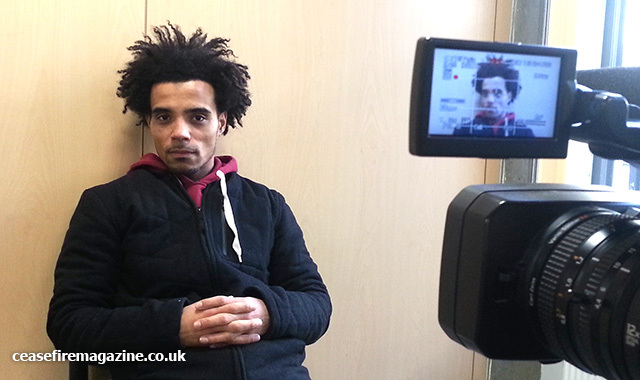 Akala grew up in a council house, on benefits, and doesn’t even have A-Levels. Obviously you don’t know how hard it is to get a council place, priviledged he certainly is. It ain’t hard living on benefits if you ain’t a crackhead or a drunk, the worst part about it is having to deal with the incompotent bullies the dwp, & rich people making out that you’re living off of them, but thankfully you rarely bump into those stuck up hypocrites. Over educated, akala, could be. So he’s read a few books, & can convince some weak minded people to listen to his bigotry to the point the very people he’s smearing are praising him cos they don’t realize it’s them he’s talking about. Clever, no, what’s clever about a fool getting other fools to follow him?